Maintaining a comfortable climate in your home is a challenge, especially when you consider the effect of air-conditioning and heating on your energy bill. Choosing the best ceiling fans for your home helps keep you cool in the summer—and even warm in winter. 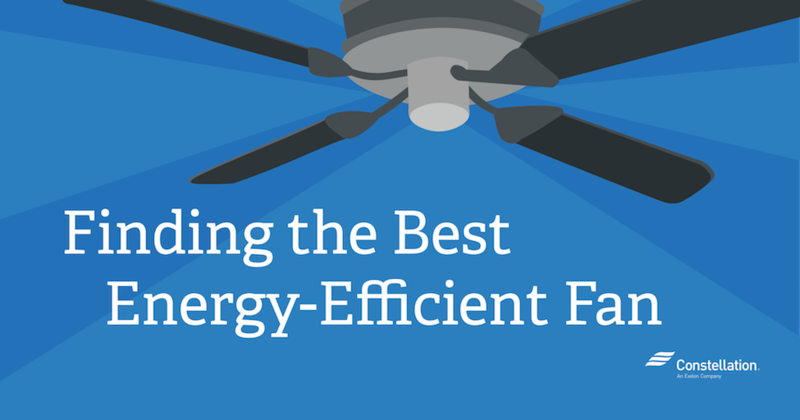 For the best results, you need to understand how the different types of energy-efficient fans work and how using your ceiling fan with your A/C can help lower energy costs. Do Fans Use a Lot of Electricity? Running a fan takes a lot less electricity than running an air conditioner; ceiling fans average at about 15-90 watts of energy used per hour, and tower fans use about 100 watts per hour. The best ceiling fans, window fans, towers and whole-house fans use only a fraction of the energy consumed by an air-conditioner. Using fans properly can help reduce your energy costs, but while fans appear to be among the simplest cooling devices, they only work efficiently if you know how to use them—keep reading to get tips on how to efficiently run a fan! Ceiling fans are large fans that attach to the ceiling, and work by circulating the air in the room, pushing air down. This creates a “wind chill” effect that provides relief through evaporative cooling. Ceiling fans are permanent installations and only provide heat relief in the room in which they are installed. How much energy a ceiling fan uses depends on the size of the fan. A fan with 36-inch blades uses approximately 55 watts an hour. A fan with 48-inch blades typically consumes 75 watts, while a 52-inch-blade fan uses 90 watts an hour. Many energy-efficient ceiling fans are approved by ENERGY STAR®, and are designed to meet energy-efficiency guidelines set by the US Environmental Protection Agency. To reach these goals, ENERGY STAR® fans use motors, blade designs and LED or CFL lighting to reduce the watts consumed per hour when the fan is in use. An ENERGY STAR® ceiling fan is up to 60 percent more energy efficient than non-certified fans. Although they require a more expensive initial investment, ENERGY STAR® fans are the best ceiling fans for anyone interested in lowering their electric bill. They are less expensive than A/C or whole-house fans. They provide lighting in addition to heat relief (or can be retrofitted with lights). They consume less energy—particularly those fans with ENERGY STAR® ratings. They come in a wide range of styles and sizes. Using your ceiling fan with your A/C can help you stay cool even when you set your air-conditioner thermostat higher. Heat relief is limited to the same room as the fan. Fans only provide heat relief to people, not the room itself. Running the fan when no one is in the room wastes electricity. Given their size, it’s not surprising house fans consume more power than ceiling fans. Exact energy amounts vary based on the size of the fan’s motor, but most whole-house fans use between 120 and 600 watts per hour, according to the National Renewable Energy Laboratory—but this is still much less energy than a central air-conditioner uses. How much energy do whole-house fans use? consume less energy than central air-conditioning. can pull in carbon monoxide and other combustion materials from furnaces, water heaters and gas-powered appliances in the absence of proper ventilation. Window fans (sometimes called box fans) are installed in open windows to move air in and out of a house. While often used to circulate air in single rooms, window fans can be set up to cool an entire house some blow hot air out of the house while others pull cool air in. How much energy do window fans use? Like other types of fans, window fans use less power than an A/C unit. Most window fans typically consume between 35 and 100 watts an hour, depending on its make and model. They are less expensive than ceiling or house fans. They draw in fresh air from outside. They are easy to install and uninstall. Multiple fans can be used to cool the home. They require multiple units to cool an entire house. 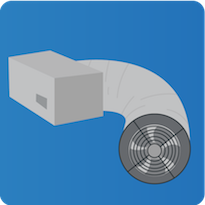 Air cavities surrounding fans must be blocked for maximum efficiency. They are less attractive than other fan options. Tower fans are portable vertical fans designed to increase circulation. A tower fan does not bring air in from outside; instead, it moves air already in the house, relying in wind chill to provide heat relief. How much energy do tower fans use? Many models for tower fans typically use between 48 to 100 watts an hour to run, depending on their power setting. Most tower fans have at least three speed settings. They come in a wide variety of colors and styles, including bladeless models. You can easily move them between rooms. They have a limited range for air movement. They take up floor space. They can trap dust and dander. Smart fans can turn on and off when rooms reach certain temperatures or can detect when the room is occupied through energy-efficient timers or motion detectors. Capable of linking to smart-home assistants, smart fans are part of the rising wave of home-automation products and can help reduce your overall energy costs. Do smart fans save energy? According to US General Services Administration data, smart fans can reduce energy costs by between 4 and 11 percent. In addition to turning off at optimal temperatures and in response to empty rooms, smart fans also save energy by adjusting fan speed in response to temperature changes. They are highly energy efficient. They can be programmed to best fit your home’s cooling needs. Phone apps can control their use. You can track temperature and occupancy rates of rooms via apps. Smart fans can connect to smart home devices. They are more expensive than most ceiling fans. If you have a smart assistant or hub like Constellation Connect, you can connect to smart fans and link with other smart technology in your home. In addition to setting smartphones to detect temperature and occupancy, you can use home automation technology to turn fans on once you walk in the door, or you can link the fan to your air-conditioning or Wi-Fi-enabled thermostat. Should ceiling fans be left on all the time? Because ceiling fans provide heat relief through the wind chill principle, they have no effect on the overall temperature of the room. Switch ceiling fans off when the room is not occupied. Combining ceiling fans with energy-efficient air-conditioners helps regulate room temperature. Should a ceiling fan turn clockwise in the summer? Even the best ceiling fans won’t help cool you down if the blades are rotating in the wrong direction, and if your ceiling fan is rotating clockwise during the summer, it won’t provide you with any heat relief. In the summer, set your fan to rotate counterclockwise, so the air from the fan blows straight down. Which direction should my ceiling fan go in the winter? Warm air rises. In the winter, you want your fan to push warm air from the ceiling back down to the floor. To do this, your ceiling fan should be rotating clockwise. 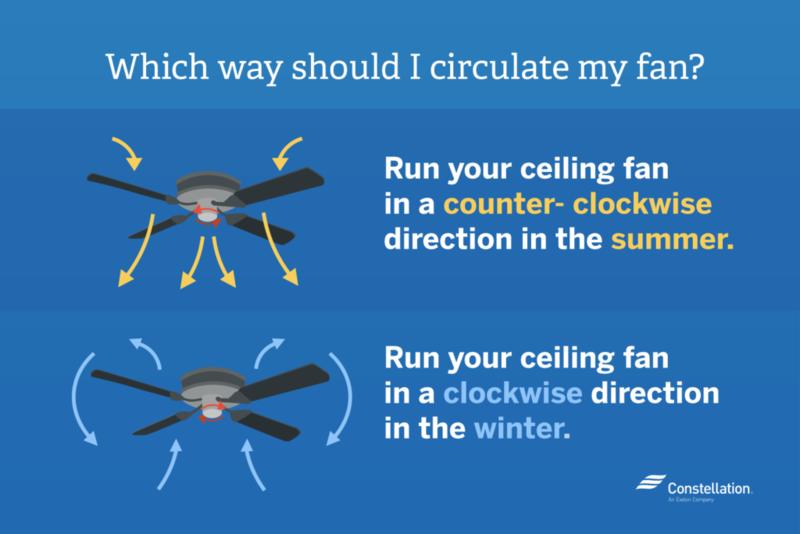 How can you tell if a fan is going clockwise or counterclockwise? How do I change the direction of my ceiling fan? In some ceiling fan models, you’ll find a small switch or pull cord to change the fan’s rotation, or your fan may have come with a remote control. For certain models, smart fan rotation can be changed using the fan’s app. 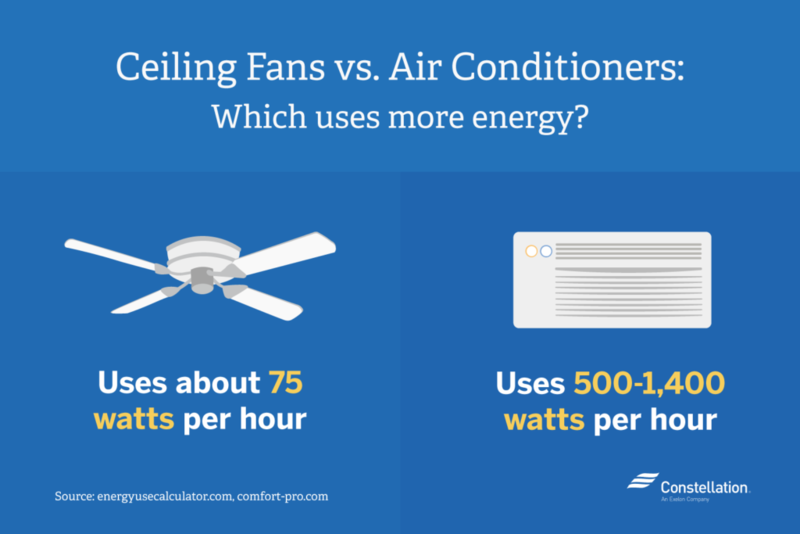 Ceiling fans vs. air-conditioners—which uses more energy? A 48-inch ceiling fan burns about 75 watts per hour. In comparison, a window air-conditioning unit eats 500 to 1,440 watts in the same period. Central air systems consume even more energy: up to 3,500 watts an hour. When buying an air-conditioner, it’s recommended you look for its SEER rating. Created by dividing the unit’s cooling output by its energy input, a SEER rating is a good indication of how energy efficient an A/C unit is (higher SEER ratings are the most energy efficient). Fans don’t have SEER ratings because they don’t actually cool their surroundings. Should I use my A/C with my ceiling fan? Using your ceiling fan with your A/C can reduce how hard your air-conditioner works. By circulating air, your ceiling fans help blow air-conditioned air throughout the room. This increases the heat relief the fans provide and often means you can lower your air-conditioning thermometer. When all is said and done, it is important to take your time when choosing between fan types for your home. Consider how your fan will operate given the size of your room, and take note of the temperatures you experience throughout the year. Once you know the answers to these questions, you can decide what types of fans will work best for your home, and the role that you want your fans to play in your heating/cooling systems. When it comes to saving on energy use, adding energy-efficient fans may be your answer to keeping you and your home cool when you need it most. Witch is the best enagy saving.fan for home use. Hi Mudasar, we usually don’t recommend specific fan brands on our blog, but what we do suggest is choosing an ENERGY STAR-rated energy-efficient ceiling fans for both energy savings and cost savings.